After being optioned for a TV show on ABC, then getting put on the backburner for that other “fairy tales living in the modern world” series, Once Upon A Time, Bill Willingham’s comic book series Fables is being developed for the screen… again. David Heyman and Jeffrey Clifford of Heyday Films, producers of the Harry Potter franchise, have brought on Danish director Nikolaj Arcel and Fantastic Four reboot writer Jeremy Slater to create a new Fables feature film. 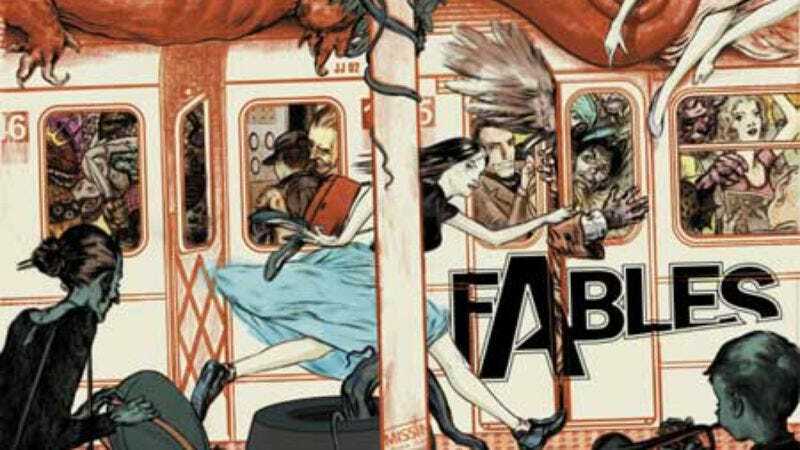 Of course, the announcement of a Fables movie certainly would have been a lot more exciting five years ago, before a steady stream of mediocre revisionist fairy tales bombarded movie and television screens. But hopefully the attachment of two producers well-versed in big-screen fantasy will help distinguish it from all the copycats. Though, if the movie does come to fruition this time, expect a fair share of “Once Upon A Time totally did it first” comments—which should be suitably infuriating for Fables fans.